Mr. Jackson has handled this difficult painful them with skill and sensitivity. There is an undoubted earnestness and care in his sketch of the university professor whose marriage is coming to grief and finds himself in new deep waters with his love for a young soldier. 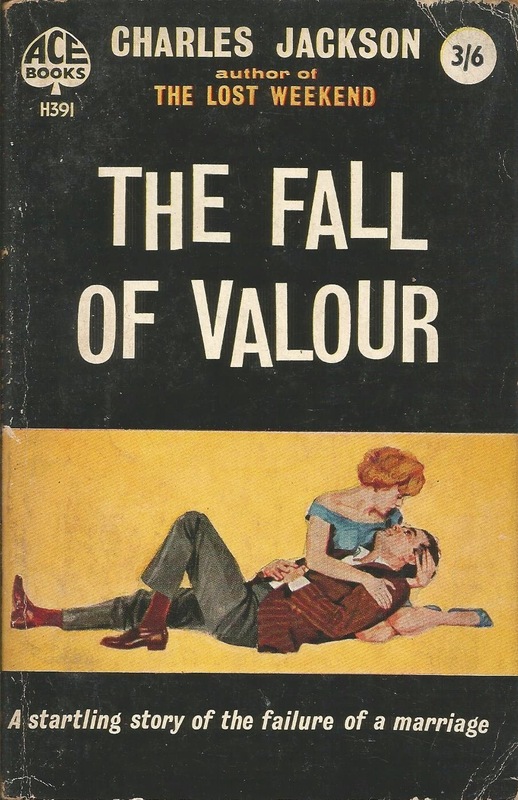 The Fall of Valour is a work of great competence. I... was thrilled by the exact understanding of the problems that beset every overworked husband and underloved wife. Reading reveals: In The Lost Weekend, Jackson dealt with the thorny subject of alcoholism. In this follow-up, he dealt with the still thornier subject (for 1948) of a male university professor falling in love with a sailor. This is the sort of story that Far From Heaven intimated would have been untellable at the time actually being told. True, much of the detail is hidden in delicate phrases, but squint and there are periods, contraceptives and erections all over the shop. It speaks of a time when sexual categories were so crudely defined, people could be left utterly out of touch with their desires, not knowing who or what it was they wanted. Of course, we've fixed all that now and everything's fine. Swimming in a fog of interiority, there'a Death in Venice languor from which the inevitable unwanted erection emerges. Although the characters see homosexuality as a shameful state one step above child molesting in the pervy scheme of things, the book doesn't, and is ultimately humane in its treatment of the issue, and its exploration of a time when some men went to war and some didn't, and some men were thought of as men, and some were not. Random paragraph: 'Cliff gazed moodily into the surf, his forehead troubled and frowning. "Gee, sometimes I even think-" He broke off suddenly, as if disgusted with himself."